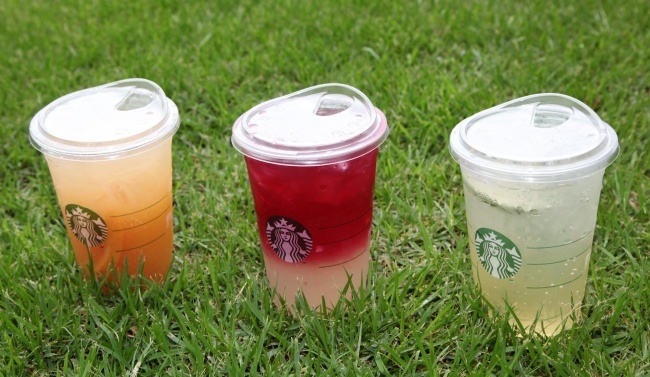 Starbucks Korea said Tuesday that it has saved up to 7.5 million straws per month after it adopted strawless lids for iced drinks at its local stores. The number is equivalent to about 50 percent of straws that had been used at some 1,100 stores nationwide per month. The Korean unit of the US coffee giant introduced a specially designed lid, which resembles a sippy cup, in November in an effort to reduce waste and protect the environment. As part of its move to reduce disposable items, Starbucks Korea dropped plastic straws and cup use in September with a two-month trial period to test the feasibility of using paper straws. Currently, paper straws are offered at customers’ requests or for beverages like Frappuccinos which are topped with whipped cream. The company said it expects to see more straws being eliminated at its stores as it aims to reduce their usage by up to 70 percent this year. The coffee giant announced in July that it plans to phase out plastic straws from all of its 28,000 outlets worldwide by 2020, replacing them with strawless lids.